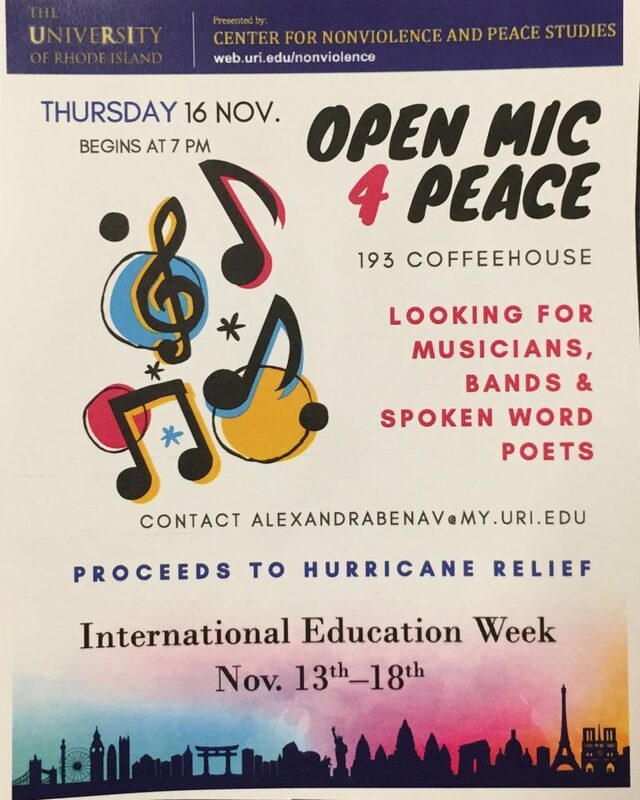 The Center for Nonviolence and Peace Studies is hosting an open mic night at the 193 DEGREE Coffeehouse tonight as part of International Education Week. International Education Week has been taking place all week on campus and is dedicated to promoting global awareness on campus. 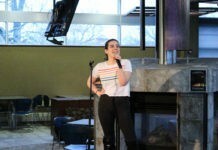 Alexandra Benavides, a Peace Ambassador at the Center for Nonviolence and Peace Studies, is coordinating the event along with the center and the coffee house. The Center for Nonviolence and Peace Studies was founded in 1998 and has worked to promote mutual understandings amongst people through strengthening relationships and education. They emphasize the importance of a peaceful co-existence with others and the world around us. Musicians are welcome and encouraged to perform tonight, as well as all outlets of creative expression, including poetry and theatre arts. The event, taking place from 7 p.m. to 9 p.m. will be collecting donations for hurricane relief efforts in Puerto Rico. 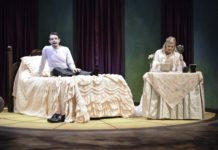 Those interested in performing can register a half hour before the show at 6:30 p.m. at the coffee house. The Coffeehouse is located on the second floor of the memorial union.